Unfortunately no samples have been uploaded to Amazon yet, but check out the first Chant because they have similar sounds. An all male choir of monks chanting peacefully. 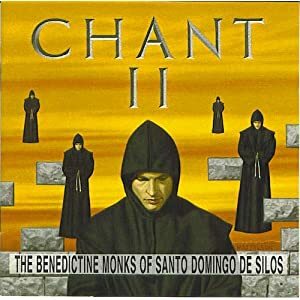 Perfect as low volume background music for holy temples.